Established in 1935, the Hofstra University is a private nonprofit institution located on the Long Island Village of Hempstead approximately 25 miles east of New York with 116 acre campus area. The university is noted for a series of prominent Presidential conferences, as well as being selected to host United States Presidential Debates in 2008, 2012, and 2016. The university offers various degree programs across respective colleges & schools with 6 undergraduate, 14 graduate, 15 dual degrees. The most popular programs include Psychology, Marketing/Marketing Management, Accounting, Public Relations/ Image Management and Finance. The graduate schools include Frank G. Zarb School of Business, the Maurice Deane School of Law and the School of Education. The university also holds full accreditation in about 27 academic and research areas. Hofstra has its own museum accredited by the American Alliances of Museums. The museum boasts a collection of around 5,000 works of art and puts on about five exhibitions annually. The University has an approximate student population of 10,800 with a student to faculty ratio of 14:1 and an acceptance rate of 62%. 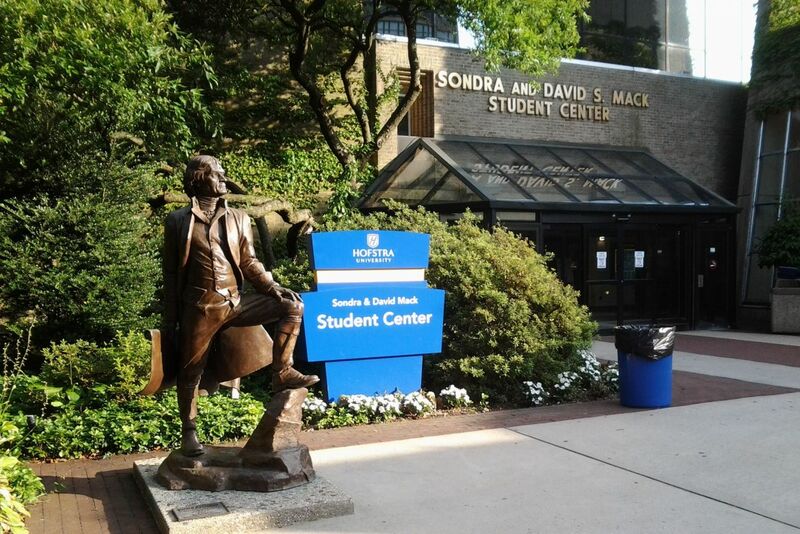 Hofstra is one of the only two universities chosen to host Consecutive U.S Presidential Debates in the year 2008 and 2012. Hofstra is considered a large research university according to the Carnegie Classification of Institutions of Higher Education. 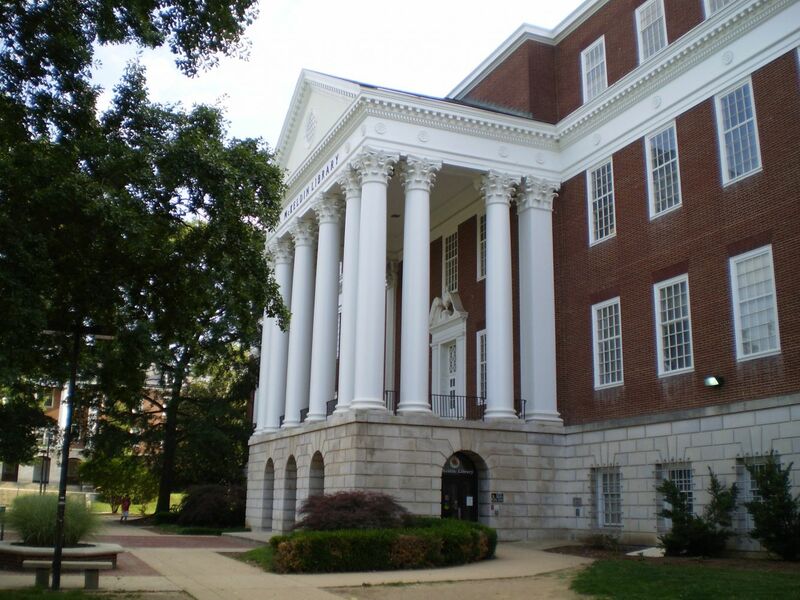 The university’s Honors College has a more selective admissions policy than that of the university as a whole and offers rigorous educational opportunity for high-achieving students. 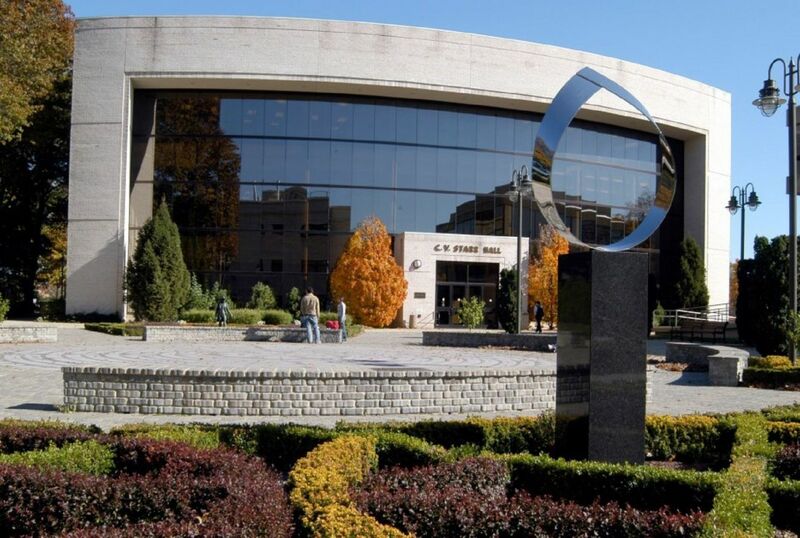 The School for University Studies provides a program for students whose abilities are not reflected in standardized test scores; while New Opportunities at Hofstra (NOAH) is designed for students whose educational progress to date has been restricted by limited educational opportunities or economic status. "The M.A. in Applied Linguistics involves extensive work in both theoretical and applied areas of language and linguistics. A ""hands-on"" field experience involving a tutorial workshop and classroom observations is taken in the English Language Program for international students." This program enables its graduates to apply basic scientific knowledge and methodology to improve organizational performance and to increase customer and employee satisfaction. It is based on the philosophy that researchers and practitioners benefit when they collaborate on problems of mutual interest. The African Studies major will introduce the student to an interdisciplinary program that coordinates and develops courses in African and African Diaspora life and culture. Economics focuses on the behaviour and interactions of economic agents and how economies work. Microeconomics analyzes basic elements in the economy, including individual agents and markets, their interactions, and the outcomes of interactions. Individual agents may include, for example, households, firms, buyers, and sellers. The annual cost of living at Hofstra University is $13,800 approx. Applications are reviewed as they are received and there is no specific deadline to apply by.